Summer 2015 dates coming soon — apply now and get on our mailing list! Thinking about what you’ll be doing this summer to become a better reporter, writer, social media master, infographic designer, videographer, photographer and storyteller this summer? We’re thinking about that, too! Our Summer 2015 session promises to be better than ever as we explore the newest trends in digital journalism, including immersive storytelling, design thinking, global reporting, and more. Plus, field trips to San Francisco with real-life opportunities to write, report and shoot stories that actually matter. 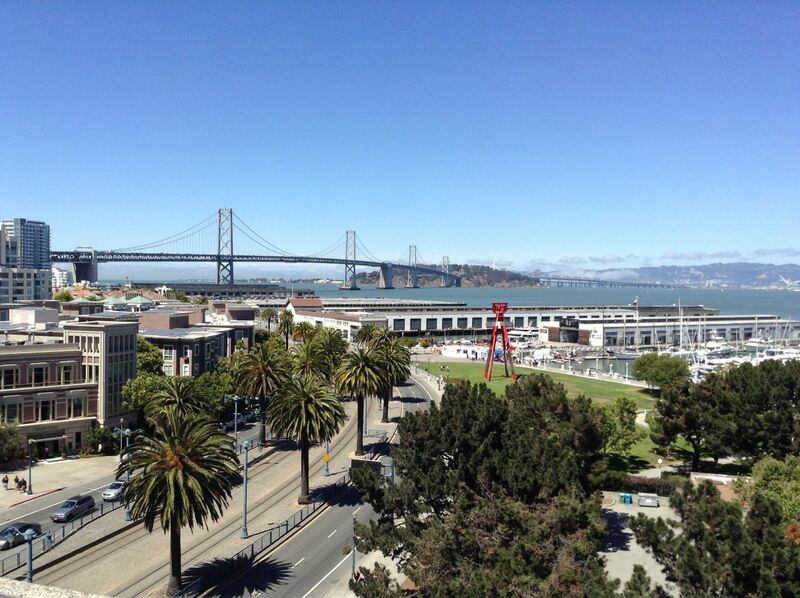 A high-altitude view of San Francisco’s Embarcadero and the Bay Bridge, taken by NBTB 2014 student Justin Kasser during a tour of AT&T Park in San Francisco. While we don’t yet have official confirmation from Stanford, we’ve requested the last week of June or the first week of July. We expect to confirm one of these dates in early January. Meanwhile, make the most of your winter break by applying with our online form. Once we receive your application, we’ll respond and put you on our mailing list so that you’ll be the first to know when our dates are confirmed. You can also email us at newsroombythebay@gmail.com — just be sure to put “add me to mailing list” in the subject line of your email. All applications to Newsroom by the Bay require a letter of recommendation from a teacher or journalism adviser as well as a short essay about why you want to spend part of your summer with us. So get going … and start thinking about what you can bring to the exciting new world of digital journalism.